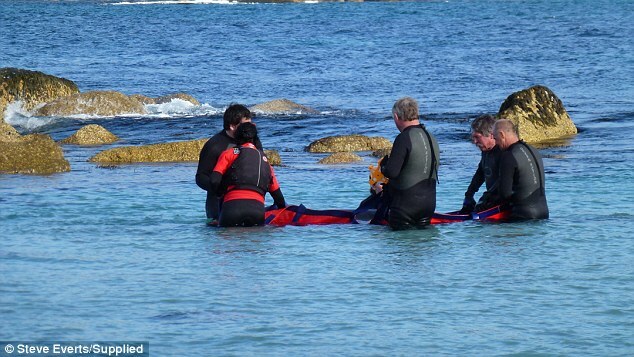 White Wolf : A young female whale stuck between rocks is rescued by the local people. 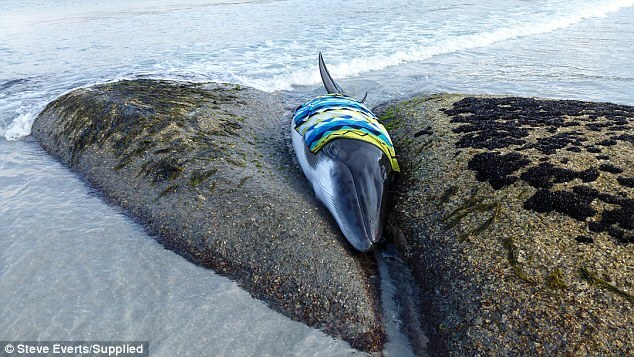 A young female whale stuck between rocks is rescued by the local people. 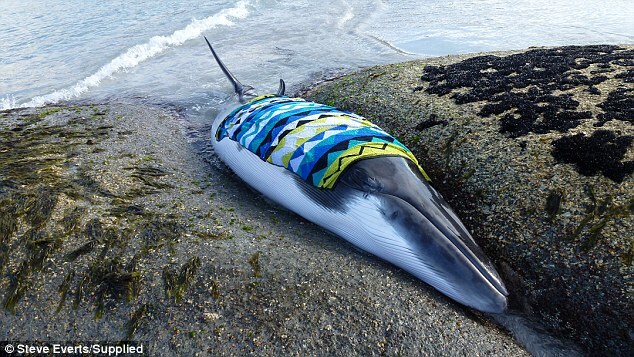 A group of kind beachgoers have come up with a unique way to keep a stranded minke whale alive while they battled to save her in Tasmania - by covering her in a colourful beach towel. The whale, believed to be a young female, was reported stranded on rocks near Diamond Island Beach in Bicheno, on Tasmania's east coast on Friday. Locals reacted quickly, wrapping a towel around the poor whale, constantly keeping the whale 'cool and wet' while waiting for authorities. The arrival of Tasmania's Parks and Wildlife staff and a police vessel allowed them to safely move the minke whale with special equipment into deeper water to help the transition back into the ocean. The video captured shows the the whale being moved slowly back into the water, making sure no injury or damage was caused by the misadventure. The beautiful creature swam away strongly, with no signs of the whale the following morning in nearby beaches confirming the rescue was a success. Dwarf minke whale's are currently making their yearly transition to its summer feeding grounds travelling from the Great Barrier Reef, through Tasmania to the southern ocean. 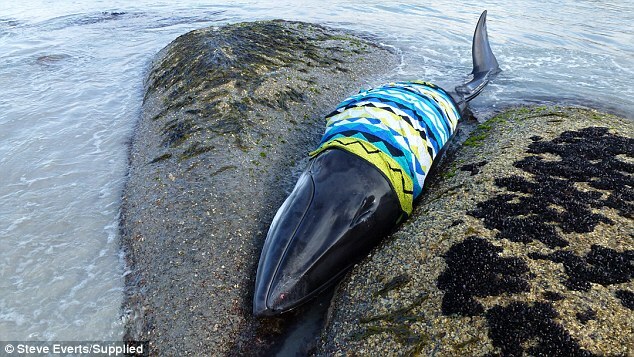 Responses to "A young female whale stuck between rocks is rescued by the local people."